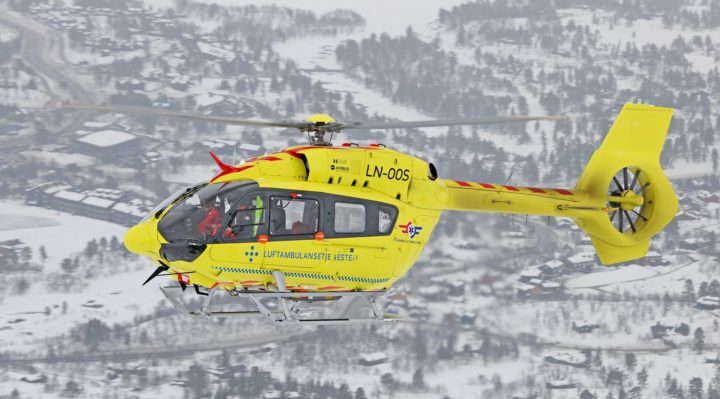 Norwegian Air Ambulance Foundation (NAAF) has become the launch customer in the emergency medical services (EMS) sector for the new H145 helicopter unveiled at the Heli-Expo 2019 exhibition. The Foundation, parent of Norwegian Air Ambulance Services (NOLAS), has ordered a single H145 which will be used for advanced research and development purposes. The new rotor brings a significant increase in overall performance, with a maximum take-off weight raised to 3,800 kg and a useful load now equivalent to the aircraft’s empty weight. The simplicity of the new bearingless main rotor design will also ease maintenance operations and improve ride comfort for patients, medical staff and crew, while the reduced rotor diameter will allow the H145 to operate in more confined areas. NOLAS currently operates seven Airbus H135s and eight H145s from 12 bases throughout Norway as well as four H135s in Denmark. The new aircraft will replace an earlier EC145 additionally operated by the Foundation and will be delivered in mid-2020. NAAF Secretary General, Hans Morten Lossius, said: “We never forget that first and foremost we are here for the patient. So this new H145 providing an even smoother ride is an ideal platform on which to develop new and advanced medical, rescue-technical and flight operational capabilities to save the lives of even more patients in medical emergencies in the future”.